Darren 'Daz' Longbottom was born to surf. The son of surfing pioneer and board-maker Rossco, and brother to legendary big-wave specialist Dylan, Daz paddled out with world champions from a young age. He was one of the overexcited 'access all areas' grommets behind the rope when the World Tour rolled into Australia. After the Longbottom brothers' first surf experiences in Cronulla, where they belonged in the waves alongside the very best in surfing, Dylan went on the road as a 'free surfer', while Daz pursued a career in the surf industry, learning all aspects of the trade and setting up a successful business. But Daz's passion for waves would very nearly cost him his life, and would test his resilience and determination in unimaginable ways. When Daz said goodbye to his wife and baby daughter to go on a surf trip with friends to the remote Mentawai Islands off Indonesia, it was the fulfilment of a long-held ambition. But he could never have foreseen just how difficult the road home would be, or how his life would be changed so profoundly. 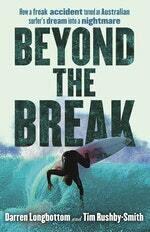 Beyond the Break is the tale of a freak accident, a terrifying rescue and the long and painful journey home. 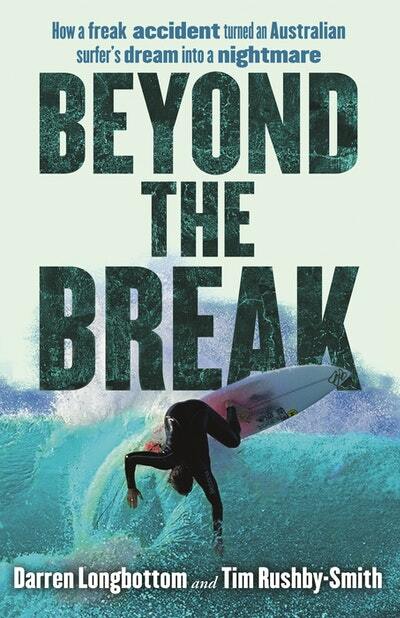 It is a story of coming to terms with the life-changing consequences of riding a single wave. Darren Longbottom and Tim Rushby-Smith share the intricacies of co-writing a book. Love Beyond the Break? Subscribe to Read More to find out about similar books.